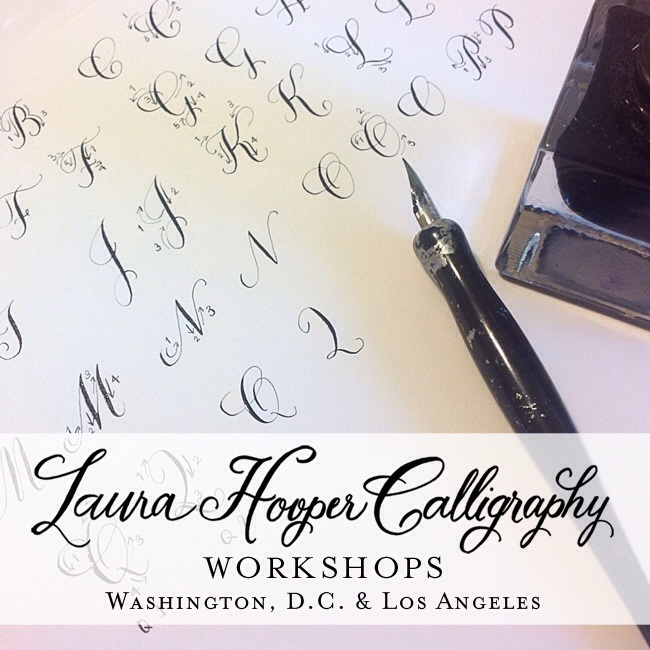 We're pleased to host Laura Hooper Calligraphy at our design studio for two upcoming DC calligraphy workshops. On Saturday, February 1st and Saturday, March 1st, Laura Hooper will be offering calligraphy lessons at our Karson Butler Events Design Studio on Capitol Hill. We so love Laura's work and are thrilled to have another California gal here on the east coast now too! Have you always wanted to give hand lettering a try? Here is your chance to learn from one of our favorites! Check out Laura's blog for more details, and register here. Space is limited, so sign up quick to secure your spot!